Easter is the most important Christian celebration. 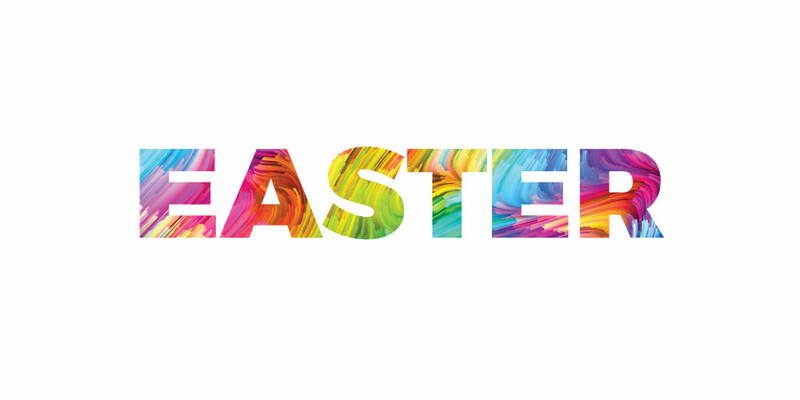 We are really excited about our upcoming Easter celebrations and hope that you can join us! GOOD FRIDAY (19th April) - We have a communion service @ 10am. This is a time of reflection, thanksgiving and remembrance. 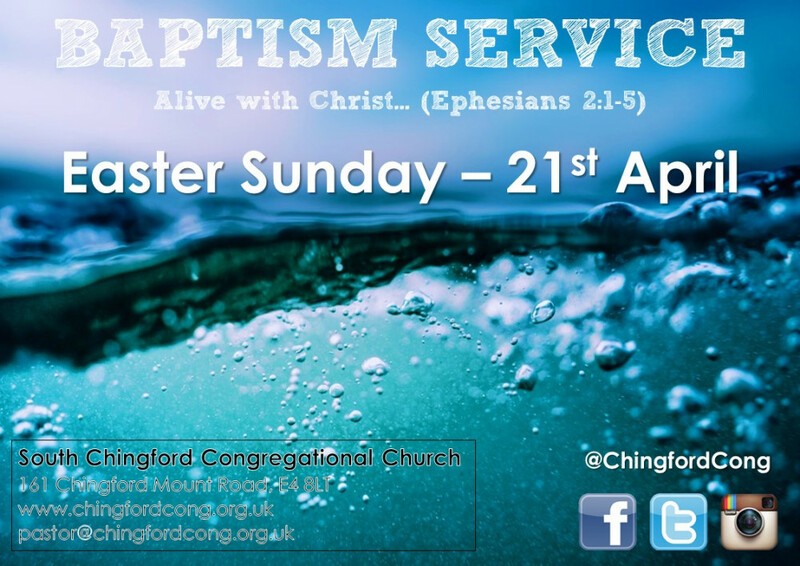 At 11am we join with other local churches for a walk of witness and open-air service at Chingford Mount. EASTER SUNDAY (21st April) - The biggest celebration of the year! Join us at 11am as we celebrate the reason for our faith. This will be a baptism service so we will witness people declare publicly their faith in Jesus and hear about the change that He has made in their lives. There will be a PHOTO BOOTH, with a professional photographer ready and waiting to take some great family pictures - bring the family, and work on your best pose! Every year at Easter we remember the events of Palm Sunday, Good Friday and Easter Sunday. But a quick flick through the gospelsshows that an enormous amount happened between those days that deserves our attention! 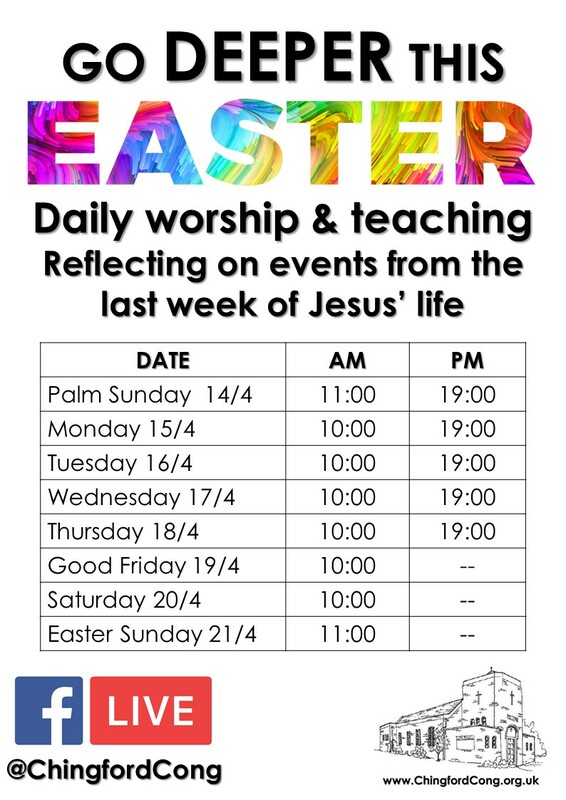 This year, we will have daily times of worship and teaching during Easter week to take us further in our journey of discipleship. At this most important time of year for Christians, we invite you to join with us and carve out time to invest in your relationship with God. Come for all of the sessions or dip in and out as you are able. If you are not able to join us in person, all sessions will be broadcast live on our Facebook page.